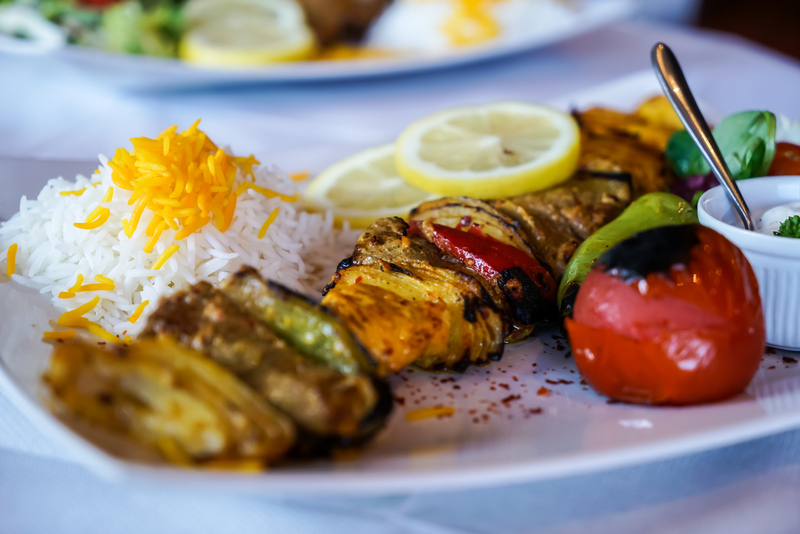 Typical Persian main dishes are combination of rice with meat, lamb, chicken, or fish and some onion, vegetables, nuts, and herbs. To achieve a balanced taste, characteristic Persian flavourings such as saffron, dried limes, cinnamon, and parsley are mixed delicately and used in some special dishes. 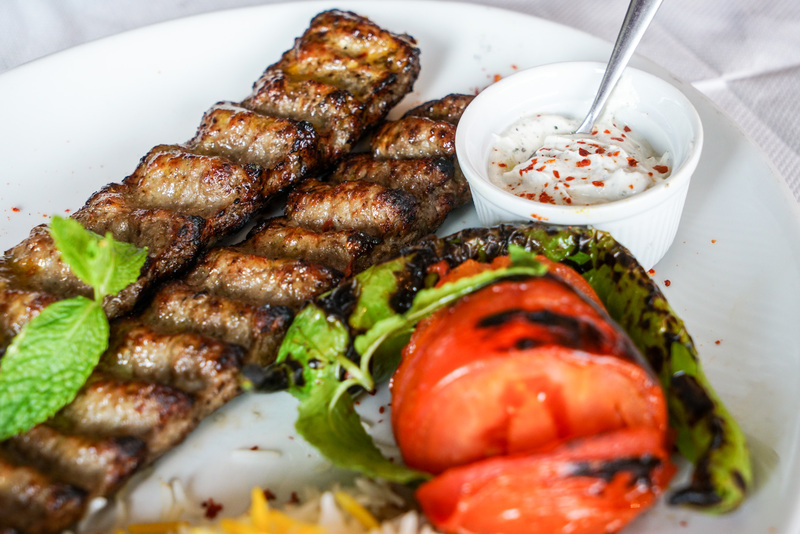 Many foods famously associated with Middle Eastern, and indeed World cuisine have their origins in Iran, such as our most famous dish : Kabab. Ranging from Chelow Kabab, kabab-e barg, Joojeh (chicken) Kabab and Ghafghazi. These are all served with rice and fresh herbs and could be accompanied with Mast-o-musir or Shirazi salad; to get a true taste of Iran. Also our stews each have their individual taste and flavour. Vegetarian stews are also available and will be served with rice or chips. 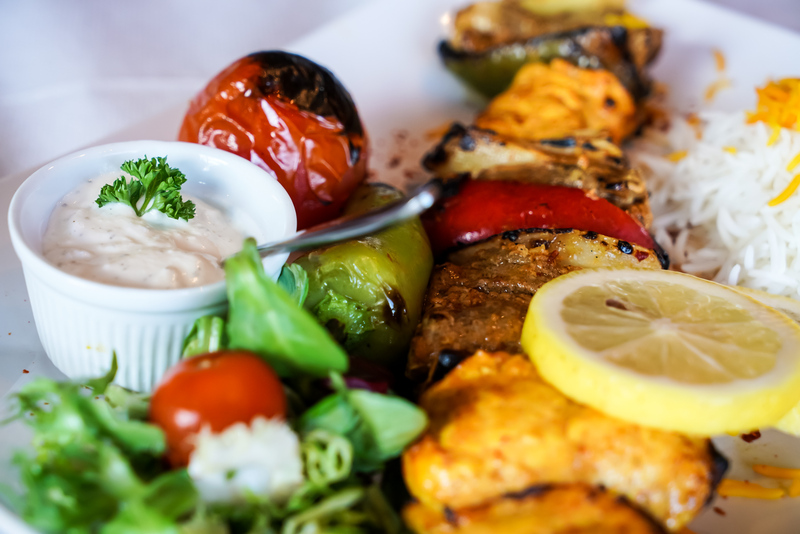 Apadana is the one and only Persian restaurant in Huddersfield. Come and join us – delicious food, fantastic ambiance and a warm welcome from our fabulous team!